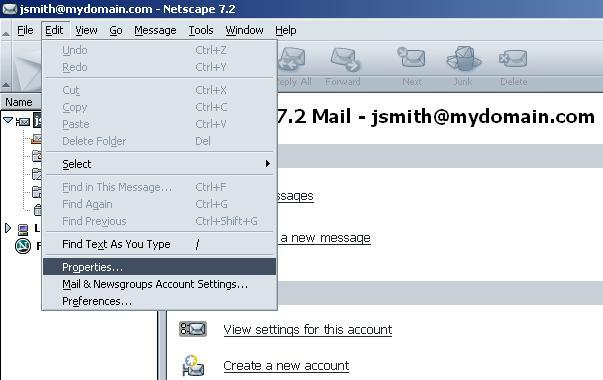 Open the Netscape mail application. Click on the "Edit" drop down menu and select "Properties...". Once all settings have been confirmed, click on the "OK" button in the bottom right hand corner of the window.